The Boston Bruins routed their way to a 6-3 victory over the Ottawa Senators Monday afternoon. 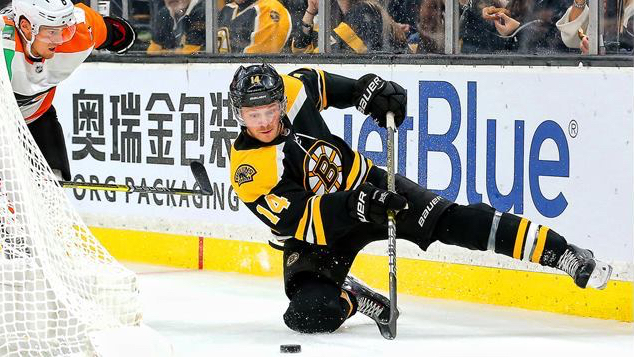 Patrice Bergeron recorded a hat trick, David Pastrnak scored twice, and Walpole native Chris Wagner tallied his first ever goal as a Boston Bruin on home ice. Wagner found himself on the fourth line with Sean Kuraly and Noel Acciari after sitting last game out. The Bruins picked up Wagner as free agent back in July. He spent last season with the Anaheim Ducks before being traded to the New York Islanders.